Velvetgrass is a clumping perennial weed of turf, which can have characteristics of a winter annual in warmer climates. 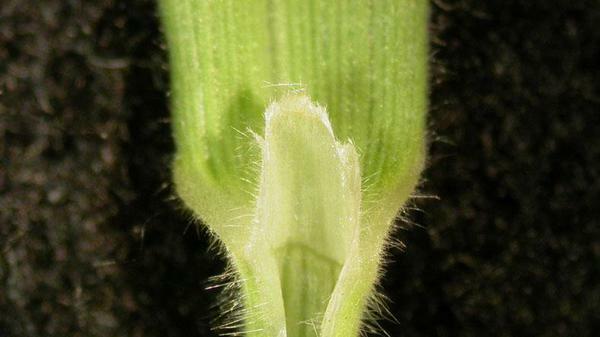 It is found in moist areas in fields, lawns, and roadsides. The stems and leaves are densely hairy, and resemble velvet when touched. Velvetgrass was widely used years ago as a forage grass, particularly in tall fescue in the western part of the state. The presence of velvetgrass is due to its former widespread use. Perennial grass weeds are not desirable as turfgrass species under any conditions. 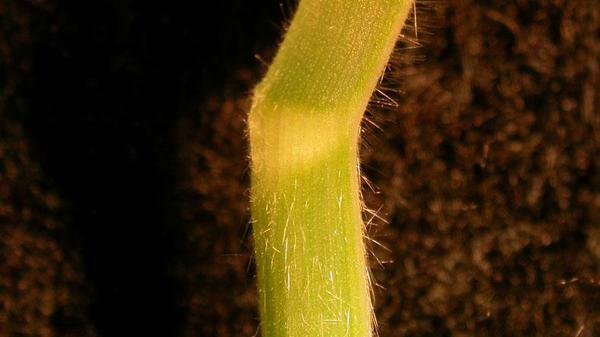 Therefore, every effort should be made to prevent these weedy grasses from becoming established in turf, as selective control measures are usually difficult. Selection of adapted turfgrass species and cultivars and the use of cultural practices are important in minimizing weedy grass encroachment and competition. Management practices include: (1) mowing at the recommended height for the selected turfgrass and removing clippings when seedheads of grassy weeds are present; (2) applying the proper amount of nitrogen at the correct time according to the turfgrass present; and (3) using soil tests to determine needed nutrients and lime. Figure 1. Velvetgrass ligule. Figure 2. 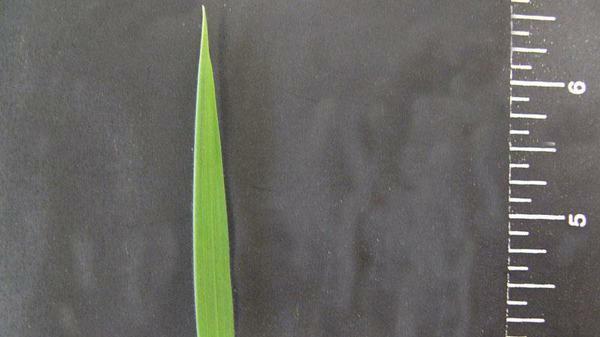 Velvetgrass leaf blade tip. Figure 3. 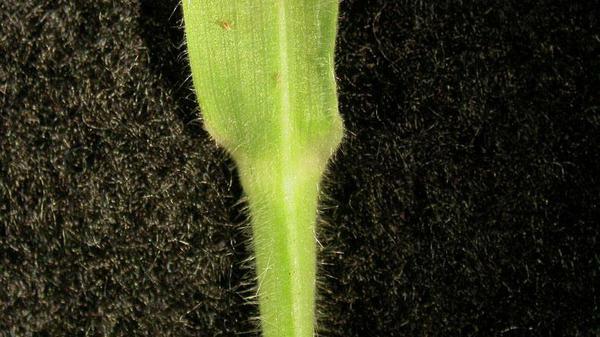 Velvetgrass collar type. Figure 4. Velvetgrass collar type. Figure 5. 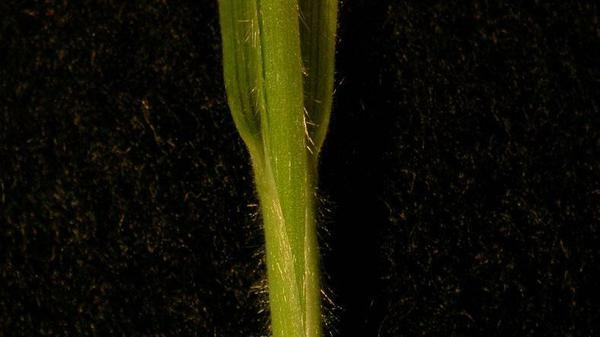 Velvetgrass sheath margin.